• PLOT SUMMARY: "Search for the Sorcerer Supreme" Pt. 3 - WHO WILL BE THE NEXT SORCERER SUPREME? And will he or she survive the initiation? 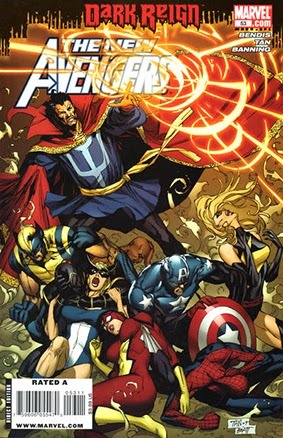 The Avengers fight a battle that they know will shape the future of the Marvel Universe for years to come! Written by Brian Michael Bendis. Cover and pencils by Billy Tan.